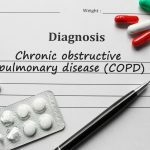 Chronic obstructive pulmonary disease (COPD) is a problem and needs regular and continuous treatment. It is one of the major concerns for national healthcare systems around the world, as is ranked as the fourth leading cause of death in the world. It is considered to cause recurring airway inflammation and bronchial obstruction. It is necessary that the patient goes through proper training and should be educated on how to use a COPD treatment inhalercorrectly. This has a direct outcome on the effectiveness of the therapy. Also, the inhalation flow of the patient, the aerosol velocity, and particle size of the drug inhaled has an ultimate effect on the amount of drug that reaches the mark. As inhalation is the main form of treatment for COPD, doctors administer bronchodilators and anti-inflammatory drugs via inhalers. There are three main factors that assure effective inhalation therapy. These are the features of the inhalation device; the patient’s knowledge; and the physician’s experience with inhalers and their skill in understanding the patient’s needs and requirements. Together, these factors facilitate effective therapy and a better long-term outcome. 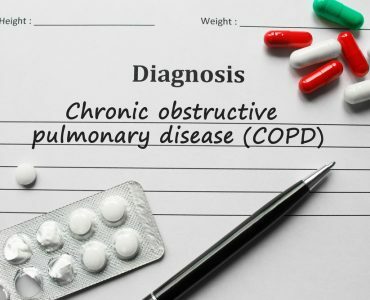 Indeed, everyday clinical practice, pulmonologists will focus on the pharmacological properties of the drug in choosing the best possible healing option, and making new COPD treatments, rather than to the features of the inhalers and the capability of the patient to handle the device. In fact, it is often disregarded that the improper inhalation technique used by the patient is directly connected with the increased use of health-care resources. There are different types of COPD treatment inhalers. 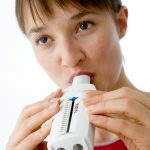 The short-acting bronchodilator inhalers are used mostly by people with COPD and are usually the first treatment used. Bronchodilators are medications that make breathing less stressful by relaxing and expanding your airways. 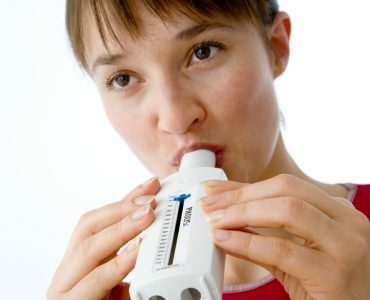 You need to use short-acting bronchodilator inhalers when you feel breathless, up to four times a day. 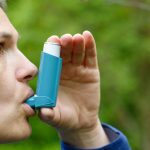 Long-acting bronchodilator inhalers are to be used if you experience the similar symptoms more regularly, throughout the day. This works in a similar way to a short-acting bronchodilator, but each dose lasts longer, for at least 12 hours. Hence, they only need to be used once or twice a day. Steroid inhalers are used if you continue to get out of breath even while taking long-acting inhalers or if have recurrent flare-ups. 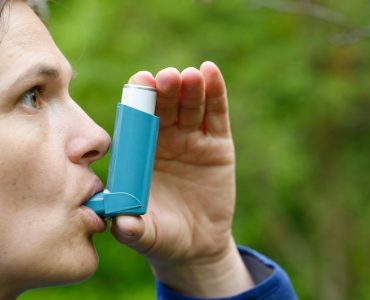 Steroid inhalers contain corticosteroid medication, which helps lessen the inflammation in your airways. They are normally given as part and combination to an inhaler. 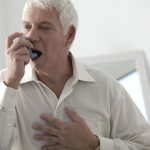 Another type of new COPD medicationin the form of breath-activated inhalers called dry powder inhalers that are also used to treat COPD. These inhalers are not equipped with pressurized inactive gas to direct the medicine. You don’t have to push the cylinder to release a dose. Instead, you provide the dose by breathing in at the mouthpiece with a fairly hard breath to get the medicated powder into your lungs. An ideal inhaler is one with the ability to be used easily and eliminates a possibility for incorrect use. It therefore effectively delivers the drug even if the technique used by the patient is poor. It runs high levels of drug admission only to the lungs, to provide the active drug to the required tissues. The counter functionality of the drug helps the patients to quickly and easily determine the number of doses administered and the amount of remaining medication. It also has an option of administering multiple doses effectively, without needing to reload the device. It can deliver all types of drug molecules and sizes. 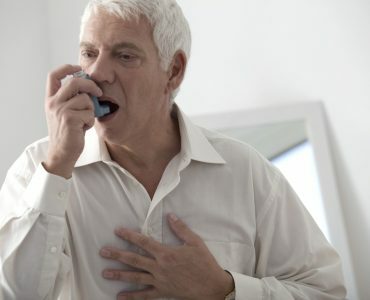 Inhalers, therefore, play a very important role in the proper management of COPD and are important for treating the condition.